She took her son to the doctor last night. او دیشب پسرش را پیش دکتر برد. noun When you write 'Doctor' as part of a person's name the short form is Dr. Doctor Waters sees patients every morning. When we talk about visiting the doctor, we say go to the doctor's: If you're feeling ill you should go to the doctor's. She was treated by her local doctor. I’d like to make an appointment to see Dr Pugh. A 2–0 victory is just what the doctor ordered. ▪ go to the doctor I’d been having bad headaches so I went to the doctor. ▪ see a doctor (also visit a doctor American English) (=go to the doctor) Have you seen a doctor about it yet? ▪ ask a doctor (also consult a doctor formal) If you have any of these symptoms, you should consult a doctor. ▪ call a doctor (=telephone one, especially to ask them to come to you) His mother was very worried and called the doctor. ▪ get a doctor (=arrange for one to come to you) In the middle of the night we decided to get the doctor. ▪ a doctor examines somebody The doctor examined her and said she had a chest infection. ▪ a doctor prescribes something (=writes an order for medicine for someone) My doctor prescribed a course of antibiotics. ▪ a doctor diagnoses flu/depression etc (=says what illness someone has) The doctor diagnosed malaria. ▪ a family doctor (=who treats all the members of a family) We’ve had the same family doctor for fifteen years. ▪ sb’s local doctor (=working near where you live) You should go and see your local doctor. ▪ a hospital doctor British English (=working in a hospital) Junior hospital doctors have to work very long hours. ▪ doctor someone who treats people who are ill, who has completed a long course of study at medical school: If you have bad chest pains, you should see a doctor. ▪ GP British English a doctor who is trained in general medicine and who treats the people who live in a local area: My GP told me that I must lose weight. ▪ quack informal someone who pretends to be a doctor: My father felt that people practicing alternative medicine were just a bunch of quacks. ▪ the medical profession doctors and nurses considered as a group: This view is widely accepted among the medical profession. ▪ surgeon /ˈsɜːdʒən $ ˈsɜːr-/ a doctor who does operations in a hospital: One of the world’s top heart surgeons performed the operation. ▪ consultant British English a very senior doctor in a hospital, with a lot of knowledge about a particular area of medicine: The consultant said that he did not think it was cancer. ▪ paramedic someone who has been trained to treat sick or injured people, especially at the scene of an accident: Paramedics treated him for shock. ▪ vet (also veterinarian especially American English) a doctor who treats animals: We took the cat to the vet. ▪ psychiatrist /saɪˈkaɪətrəst, saɪˈkaɪətrɪst $ sə-/ a doctor who is trained to treat people with mental illnesses: In order to become a psychiatrist, you first need a medical degree. ▪ psychologist /saɪˈkɒlədʒəst, saɪˈkɒlədʒɪst $ -ˈkɑː-/ a scientist who studies and is trained in ↑psychology (=the study of the mind): Many psychologists believe that aggression is a learned behaviour. ▪ medical student a student who is studying medicine in order to be a doctor: James is a medical student at Edinburgh university. • You'd better see a doctor about that cough. • I think you should go to the doctor about that cough. • I have an appointment at the doctor's tomorrow. • He left the hospital against doctor's orders. • The doctor advised me to rest. • The doctor will see you now. • We called the doctor immediately. • Who is your family doctor? • You should register with a doctor as soon as possible. • Why won't he go to the doctor? She has a doctorate in physics from Norwich. [as form of address] Good morning, Doctor Smith/Doctor. He went to the doctor's this morning for a checkup. A doctor is someone who is qualified in medicine and treats people who are ill. The doctor’s is used to refer to the surgery or office where a doctor works. A doctor is someone who has been awarded the highest academic or honorary degree by a university. 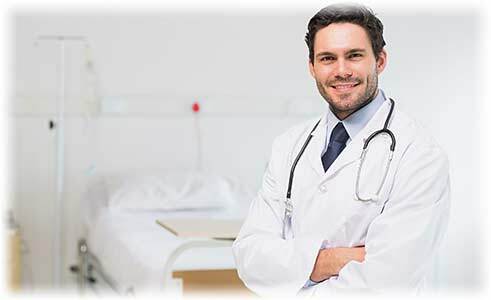 ✦The abbreviation Dr. is usually used in writing when doctor is being used as a title for a specific person. • I have an appointment with Dr. Brown. • He needed medicine but refused to go to a doctor. • She was under doctor's orders not to return to work. • I saw her at the doctor's last week. • How long will you be at the doctor? • My dentist is Dr. Smith. • We took our dog to Dr. Jones. • Most of the faculty members at this college are doctors in their fields. • Dr. Smith, can you explain the exam requirements again? • A day at the beach was just what the doctor ordered. Eating fruit regularly is part of a healthy diet. خوردن روزانه میوه بخشی از یک رژیم غذایی سالم است. روزی یک سیب بخور تا دکتر به سراغت نیاید. Don't eat all that junk food at work. Take some fruit with you and follow a healthy diet. You must have heard that an apple a day keeps the doctor away. This means that eating an apple each day can help to keep you healthy.